Note: NE 20 St. is also know as Northup Way. Take the 124th Ave NE exit (the first exit after you pass under I-405). At the bottom of the off ramp, turn left at the stoplight onto NE 20th Street (a.k.a. Northup Way). From I-90 East/West, take exit 10A from Seattle/exit 10 from Issaquah for I-405 North toward Bellevue. Take exit 14 for WA-520 Eastbound toward Redmond. 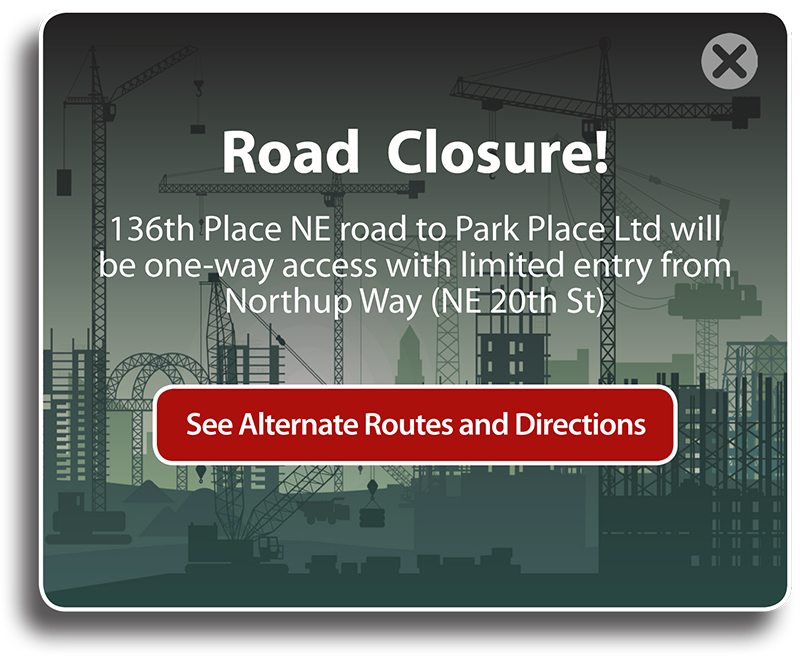 NOTE: The exit splits into three lanes, stay in the center exit lane toward 124th Ave NE. Take the 124th Ave NE exit (the very first exit). 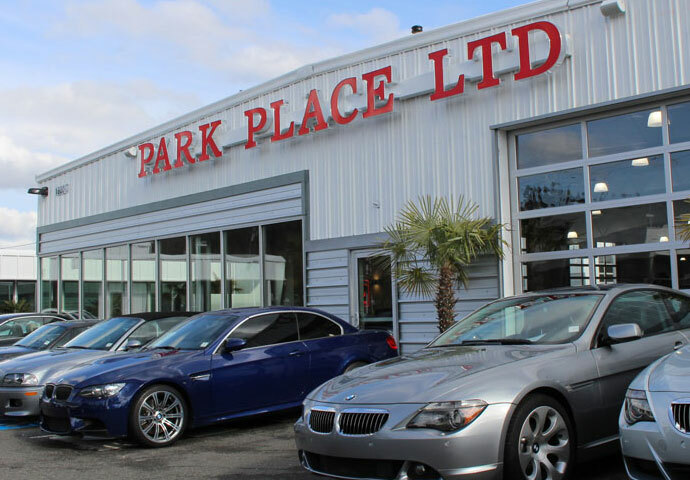 Park Place Center is on your left, across the Street from the BMW dealer. Take exit 14 for WA-520 East toward Redmond. NOTE: via Northbound I-405 coming from Bellevue, the exit splits into three lanes, stay in the center exit lane toward 124th Ave NE. At the end of the off ramp, turn left at the stoplight onto 148th Ave NE. Turn left at the stoplight at 136th Pl NE, which will take you directly into Park Place Center. If you are flying in to see us, we will gladly pick you up from Sea-Tac Airport or Boeing field.